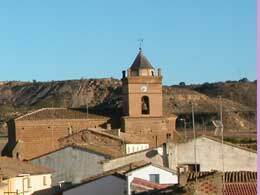 A halfway between Fraga and Huesca, Lastanosa is near the Monegros desert, the Jubierre route, the Somontano vineyards and the mountains of the Sierra Guara and the Pyrenees. 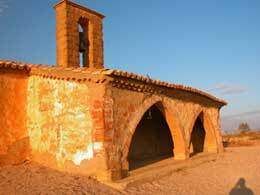 Lastanosa is located in the north of the Monegros, famous in Spain for being an arid and infertile desert. Fortunately, since the irrigation canals were built in the 1970s, Lastanosa is surrounded by fields that go from wheat to sunflowers to corn. Lastanosa is at the end of the road, with no passing traffic. It has around 20 permanent residents, increasing to approximately 100 in summer. There are no shops or bars. It is the perfect place to relax, see the sky and see how rural life is in Spain. The church was built in the 15th and 16th centuries on the remains of a 12th century church. It was sacked during the Spanish Civil War, but still has panels of the old Gothic altarpiece attributed to Juan de la Abadía, a painter well known in the Huesca of his time. At the top of the hill above the fields is the Ermita de San Sebastián, a chapel from the 15th century. In San Sebastian, on January 20, the people of the town go up to the chapel for the mass. 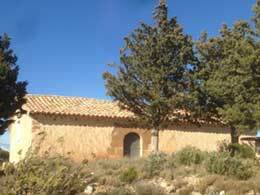 On the south side of the city is the Hermitage of Santa Ana, also from the XV century. Before the irrigation reached Lastanosa, the processions to Santa Ana were popular to pray for water for dry fields. The municipal swimming pool is open from the end of June to September. With the small population of Lastanosa, many locals say it’s like having your own pool.